They’ve tagged this “disabled.” I think “undignified” would be better. Wheeled technophiles in a queue. 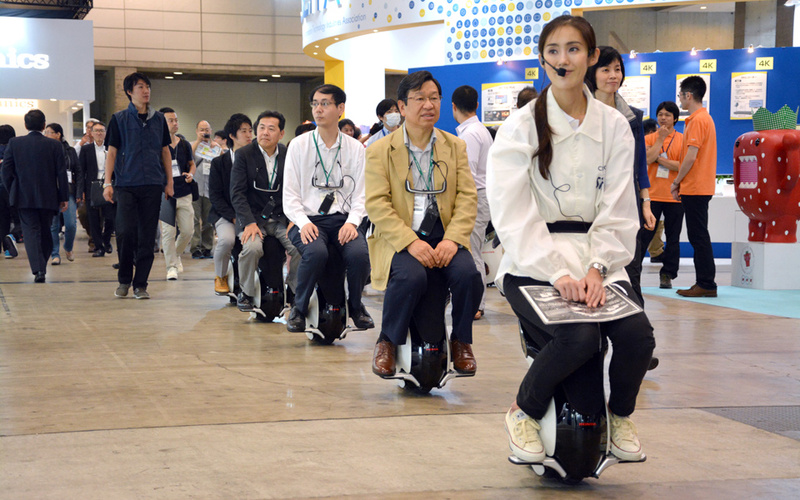 The target market is, I think, people who want to ride Segways but find all that standing to be just too much work. These look great! With a 6 km/h top speed and 6 km range – that is not bad. Oh, KM not miles, so the top speed is 3.6 mph and the range is 3.6 miles. This thing is slower than walking and won’t get you very far. Maybe if you use two it will be faster?